Bring up the idea of a healthy Christmas gift and you'll probably get a response similar to when you handed out apples on Halloween. However, there are a number of gifts that dads who are looking to stay healthy in the New Year should ask for from loved ones, MSNBC.com reports. The best present for dads who have an affinity for video games is definitely the Xbox Kinnect. This variation on the popular console uses motion activated sensors that allow users to stand up, move around and get some exercise while playing video games. 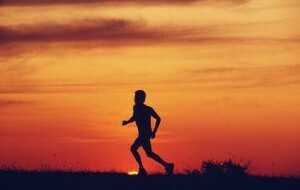 Everyone knows how beneficial running can be, but not everybody has the wherewithal to get up and go. Asking for the Nike Sportsband running monitor may motivate lazy dads to get in a run each day as it easily tracks miles, calories burned and other crucial information. For those who don't need any added motivation to exercise, a gym bag may be the best gift to request. Don't be that guy at the gym who carries a decades-old bag that smells like its been around the block a few times. According to the Centers for Disease Control, only 35 percent of adults over the age of 18 get enough exercise on a daily basis.